Peter is a Licensed Professional Counselor, Licensed Mental Health Counselor, National Certified Counselor, and Board Certified Coach with years of combined professional experience as a psychotherapist, executive coach, and business owner. Peter comes to Ayre Counseling from his previous role as founder of The Group for Men’s Counseling, based in the Orlando Florida area which is now a program of Ayre Counseling. Peter has an impressive background in psychotherapy, executive coaching, executive search and business development. His unique blend of psychotherapy and professional experience has focused on serving individuals, families, and the executive population. Peter provides individual, couples and family sessions. He specializes in addiction, men’s issues, adolescent counseling, life transitions, communication skills awareness and development, relationship and behavioral concerns. Christine Swart is an LCADC, LAC focusing on individual therapy with a specialization in substance abuse, mental health, forensics, and the impact of addiction on the individual and family. Christine is an interactive, solution-focused therapist. She is a strong supporter of 12 Step recovery programs among other evidenced-based recovery practices. 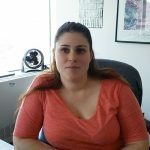 Her therapeutic approach is to provide supportive and practical feedback to clients while assisting development and implementation of healthy skills to effectively manage addiction-free lives. Josephine’s work in the addictions field began in 1990 when she joined Honesty House, a small inpatient rehab for recovering adults. Over her many years of clinical experience with substance abuse patients, she has worked at every level of care in addictions from prevention and standard outpatient treatment to intensive outpatient, detox, and residential care. 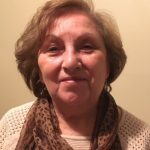 Josephine has a special interest and years of experience helping families understand the dynamics of addiction. She is a dedicated advocate of supporting the entire family through the recovery process to develop healthy coping skills. 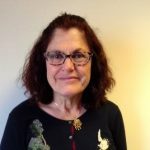 Marilyn has over 25 years of experience as a Certified Social Worker and Licensed Clinical Alcohol and Drug Counselor working with clients in all stages of addiction and recovery for many years. She offers a significant level of understanding and expertise working with troubled youth and families impacted by addiction. Marilyn has an optimistic and hopeful approach and works very closely with family members to help them develop an understanding of addiction and how they can offer positive support in the early recovery process.